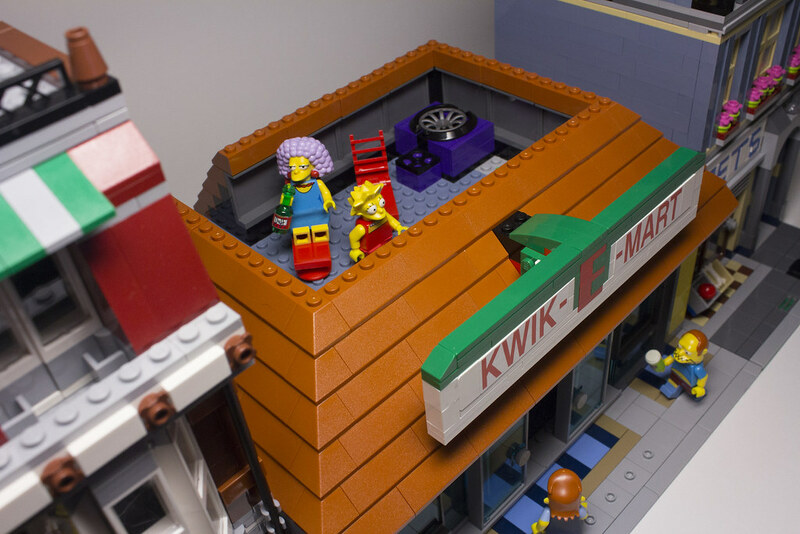 I have rebuilt my Kwik-E-Mart on a 32 x 32 baseplate to fit into my modular street. I tried to only use parts from the official set except where it was necessary for my sliding door mod. I love it, you've kept all the great things about it, even at this reduced scale. It looks pretty good in the presence of the other buildings, if you ask me. Fun. 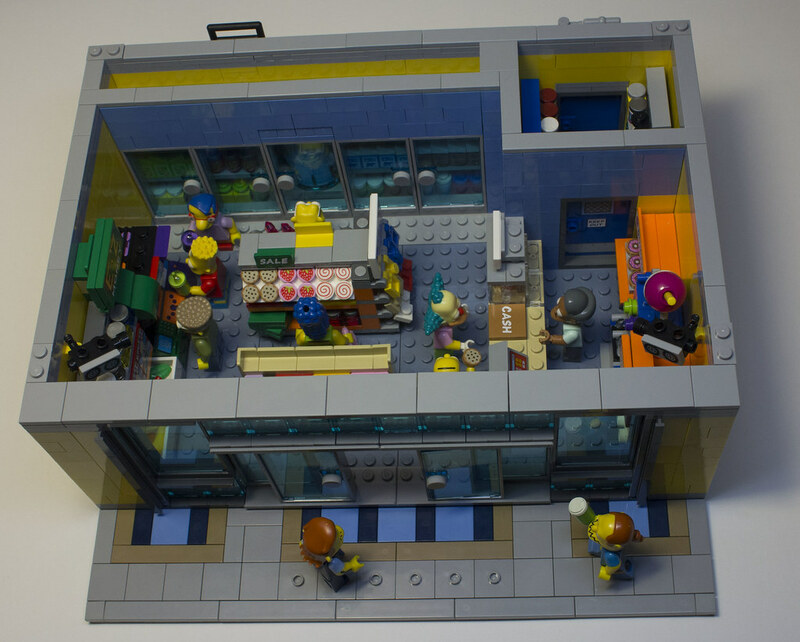 I recently have been working on my own Kwik E Mart modular scale. Mine unfortunately is 22 wide, so it cost a lot of space inside, but I figured I'd use some of those things for a grocery store (green grocer perhaps). And I've also made mine taller. I like the idea of how it looks normally, but I don't like that much variance in roof heights. Definitely have variance, but one story vs a whole bunch of 2-3 story buildings seems off to me. But if it works for your city, go for it. Yes, that's true, but I'm happy with what I could fit in without being too squashed. No telephones, Power sauce display, coffee machine. Less fridges, magazine racks and shelving. thanks. I have limited space and the only other buildings I own are modulars so that's why I modified it. Fun. 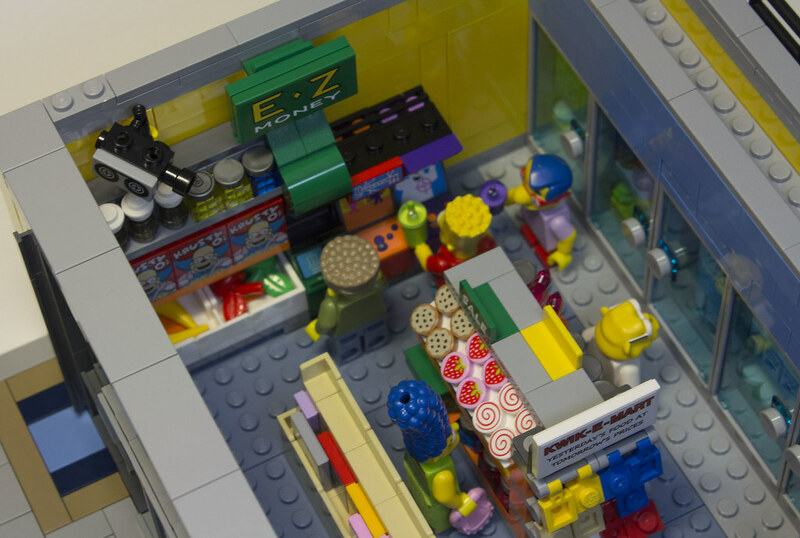 I recently have been working on my own Kwik E Mart modular scale. You'll have to post pictures when it's done. I like to see mods of sets rather than just the official builds. but I don't like that much variance in roof heights. Definitely have variance, but one story vs a whole bunch of 2-3 story buildings seems off to me. But if it works for your city, go for it. yes, it's quite small compared to the petshop buildings. 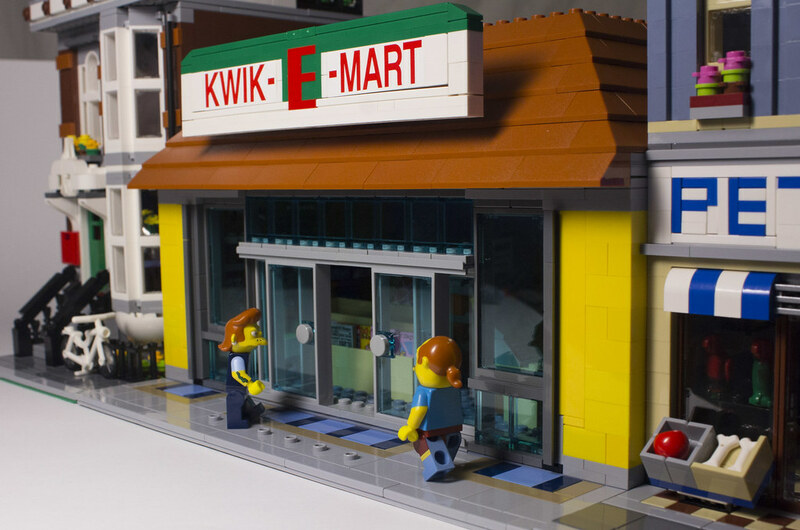 I'm going to rebuild my modified DO and place it next to the Kwik-E-Mart as they are closer in height. 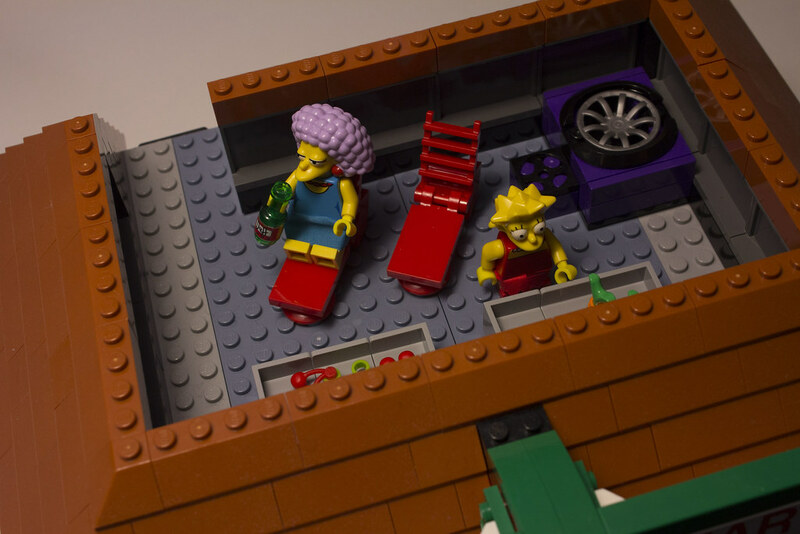 so here it is up on Brickshelf Dropbox for anyone interested.